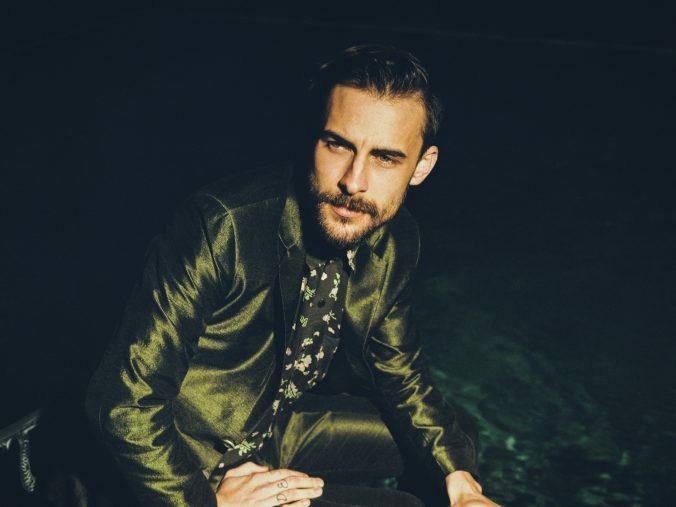 With last week’s release of his self-titled fourth album, Americana singer-songwriter Robert Ellis has asserted himself as one of the genre’s most underrated voices. While the singer-songwriter designation is often indiscriminately lobbed at anyone who – gasp! – writes their own material these days, Ellis is truly deserving of the title. Through his songs, he is able to convey a deep range of emotions fraught with bittersweet memories, owning up to mistakes, and addressing hard truths, among others. Ellis comes by his consummate eloquence rather honestly, having been inspired by some of the greatest singer-songwriters of the 20th century. Those influences reared their heads most obviously on The Lights From The Chemical Plant, which featured an astonishing cover of Paul Simon’s “Still Crazy After All These Years,” which served as the quintessential centrepiece of that record. That admiration and respect for songwriting can be heard on virtually every note of Ellis’ new album, which isn’t to insinuate that everything about making his new record was easy. Over the last two years, in addition to seemingly incessant touring, Ellis and his wife parted ways, but have remained friends throughout. In fact, they’ve remained on such cordial terms that she appears on the cover of his new album. Yet as friendly as the two may be, there is, understandably, shades of pessimism that permeate the lyrics found on the new record. From strictly a musical standpoint, however, the songs appear to be more upbeat than those featured on The Lights From The Chemical Plant. It is an intriguing dichotomy that draws the listener in while also moving the record forward. Given the significant life changes of the last two years, Ellis won’t speculate how much of his personal life is injected into the songs on his new record. He does admit there are pieces of him in some of the material, but would rather have the listener decide what may or may not pertain to him. All personal matters aside, Ellis says the making of his latest album came with some significant self-imposed pressure, especially in light of the acclaim afforded to his previous record. Where The Lights From The Chemical Plant boasted the production work of Jacquire King (Kings of Leon, City & Colour), Ellis shares that his main concern in self-producing his latest effort was ensuring the album lived up to its potential. “Working with Jacquire on the last album was great because it took the onus off me. I wanted people to like …Chemical Plant, but if they didn’t, Jacquire and I liked it,” Ellis says with a laugh. Not only does Ellis hit it out of the park, embracing unabashed pop on “California,” and “How I Love You,” holding true to his roots on “Drivin’,” while embellishing “You’re Not The One,” with a wonderful complement of strings, he defies expectations around what an Americana artist should sound like.